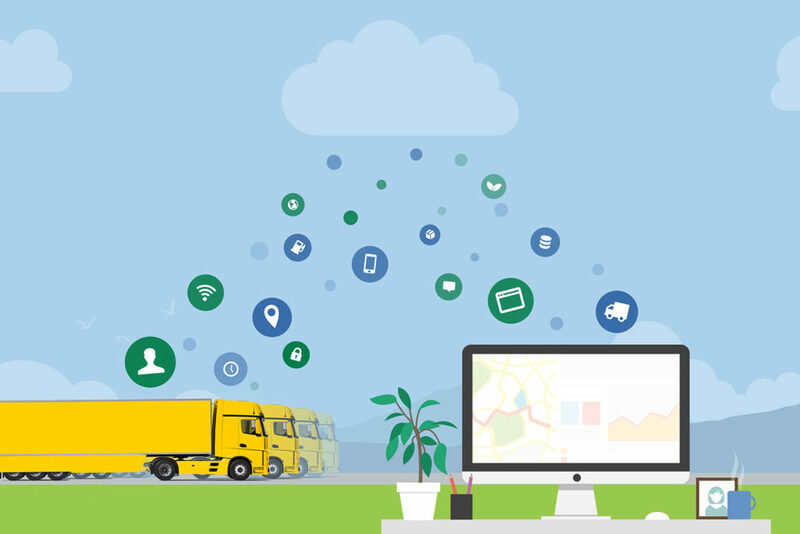 Telematics expert Transics is presenting its advanced fleet management solutions (FMS) for vehicle, trailer, driver and cargo management, including new features to boost safety and efficiency, at this week’s transport logistic 2017 in Munich. In addition, the WABCO company provides insights into the current developments and potential application of big data. To improve fleet safety, Transics’ TX-SKY on-board computer includes a new anti-start system, amongst other solutions. The system requests the driver to register and enter a PIN code to start the vehicle, thus preventing unauthorized vehicle usage and complying with insurance requirements. Fleet owners who want to protect their fleet against cargo theft, can integrate the OptiLock ELB-LOCK safety system into the TX-TRAILERGUARD trailer management solution. In this way, the freight dispatchers can monitor the trailers and, if necessary, intervene by locking these remotely. The system’s powerful networking feature not only enhances vehicle and cargo safety, it also enables a more flexible and practical planning and, as such, efficiency gains for the fleet operator. Drivers’ planning schedules, for example, are no longer linked to an on-board computer, i.e. to a vehicle, but to the driver profiles. In this way, drivers can consult their planning from any on-board computer, regardless of the vehicle they are driving. Moreover, they can also look at the planned trips via the TX-FLEX app on their smartphones, which allows them to prepare their trips the day before, from the comfort of their home. In addition, documents sent from the back office to the on-board computer are synchronized with the TX-FLEX app in real time, via Bluetooth. In this way, drivers can retrieve the information they need for smooth transport processes wherever they are. To further optimize the transport process, the FMS update comprises a more advanced calculation of the Estimated Time of Arrival, which now takes into account driving and resting times as well as the respective vehicle type. Another way to drive efficiency by boosting connectivity and integration is the remote diagnostics solution that Transics introduced at Automechanika 2016 in Frankfurt. It is the first remote diagnostics platform in Europe that supports multiple brands of commercial vehicles and is incorporated in the fleet management solution (FMS). In this way, freight dispatchers no longer have to learn and operate different remote diagnostics systems from the respective truck manufacturers. Transics’ remote diagnostics solution helps increase vehicle uptime by avoiding system failures and optimizing the vehicles’ service schedule. The remote diagnostics solution will be available by the end of this year. Visitors to transport logistic, however, have the privilege to pre-order the solution during the trade show days. Transics’ booth theme at transport logistic is the motto of the marketing campaign that it is running this year: “The Perfect Journey”. At the booth, visitors discover how the WABCO and Transics solutions contribute to safer, more efficient transport processes. On the campaign website, Transics invites visitors to virtually tour Europe and experience, for themselves, how they can improve their fleet management. For more information, please visit theperfectjourney.transics.com.